Hi ladies! Just in time for the weekend ahead, a few tips on how our pigmented eye shadows (with no fallout) can be a game changer with your entire makeup look! You know we love shattering certain makeup norms here at Trim & Prissy. In that breath, there is absolutely no rule that says eye shadow is for the eyes only! That applies to so many other makeup products too. Remember makeup is meant to be fun?! Forget trying to live up to over hyped makeup tutorials and makeup looks that can only be created by a ‘makeup artist extraordinaire’. Go back to the fun moments you have had going through your mum’s makeup as a child, trying all the products in her bag and being slightly perplexed about what goes where! Delve into that innocence in your adult life and you will find you can work magic with only a few makeup products. ‘Gold rush’ is a bright metallic gold and ‘Blackest black’ is the darkest, matte black, necessary for creating the ultimate smoky eye! Here’s what you can do with these two shades, apart from pairing them together to create a smoky eye look with ‘Gold rush’ as the base all over your eyelids, especially in the inner corners of your eyes and blackest back for the smoke effect from the outer corners of your eyes and blending upwards towards your brow bone and upper eyelids to form a transition from the gold to the black. That was a mouthful; you can read that again for clarity lol! 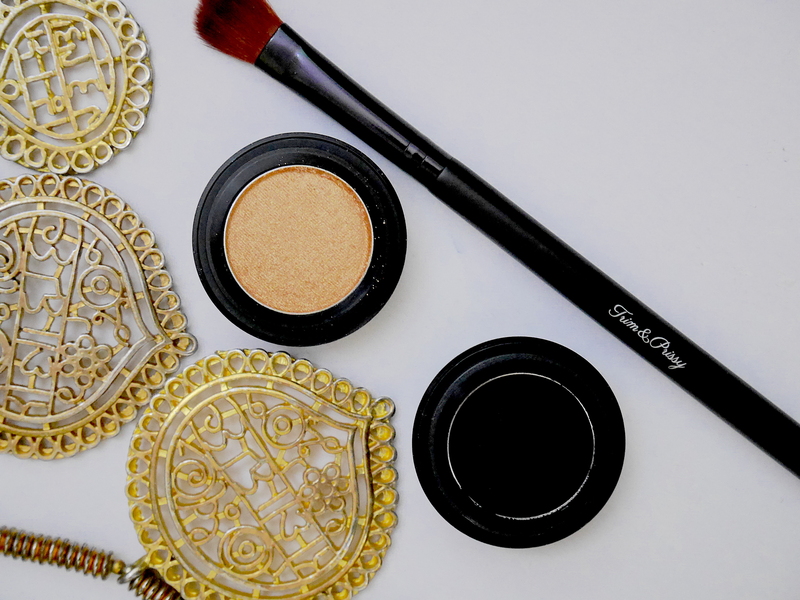 Gold rush can be used as an amazing highlighter due to the metallic and shimmer factor it gives. So jump right into making your cheekbones pop with this shade also applying it down the centre of your nose and on your Cupid’s bow and chin. Though ‘Gold rush’ will suit more medium to dark skin tones as a highlighter, you can try ‘Moon beam’, ‘Hey Mr.’ and ‘Perfection’ as a highlighter if you are light to medium skin toned. ‘Blackest black’ can be used as a jet black kohl liner if you use a multi task brush to line your eyelids and lower lash line! You can also use the brush wet to create a jet black winged liner look! Another great pairing for a superb eye look! The salmon peach of the ‘Quirky’ shade will compliment medium to dark skin tones and ‘Savanna’ will smoke out the corners of your eyes in a way that a black eye shadow can’t because it’s a very rich burgundy brown shade, not as harsh as using ‘Blackest black’. ‘Savanna’ can be used as a…….WAIT FOR IT!….yes! 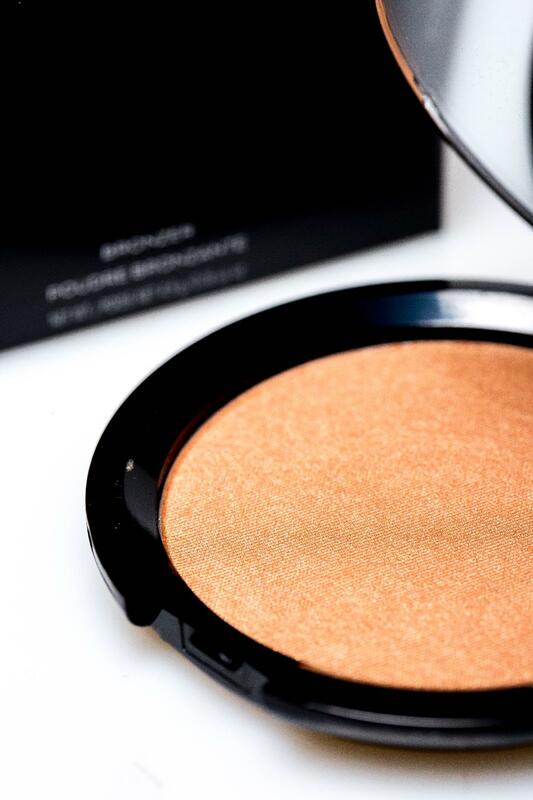 You got it, POWDER CONTOUR shade! If you prefer contouring with a powder product then ‘Savanna’ is a must have eye shadow shade for you. Use it to contour the sides of your nose-bridge, cheekbones, forehead and to streamline your jaw line. You can also use it as a brow shaper/shadow! You just need the thinner side of our multi task brush at the ready and dip into this intense pigment, filling in your gaps of hair first, and then building on how bold you want your brow shaped. FYI you can wet the brush before applying it to give it a more intense appearance like you are using a creamy brow pencil! ‘Quirky’ makes such a pretty blush shade on light, medium and dark skin tones as peach is often considered a universal shade of blush. 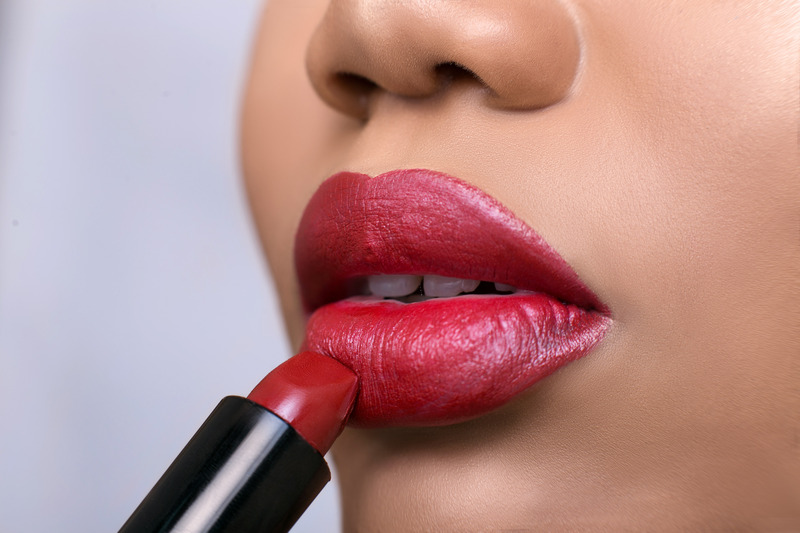 If you are in the mood to further experiment with this shade, use a lip balm to give your lips a lot of moisture and then use the oval shape side of the multi task brush to apply quirky on your lips as a lip tint! JUST MAGICAL! So ladies, as you know, we can go on and on in this blog post but we don’t want to scare you off with information overload! So why not browse through our eye shadow shades and hunt for 2 shades that can serve a multi purpose on your whole face! Links below as usual to help you decide on what you need for your makeup play date! Have a great weekend, till next time!